Most active day January 13, 2009 : 71 pages sent. 66 requests handled. 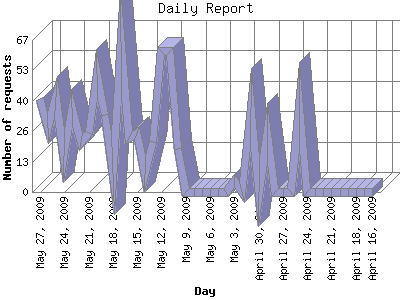 Daily average: 12 pages sent. 31 requests handled.